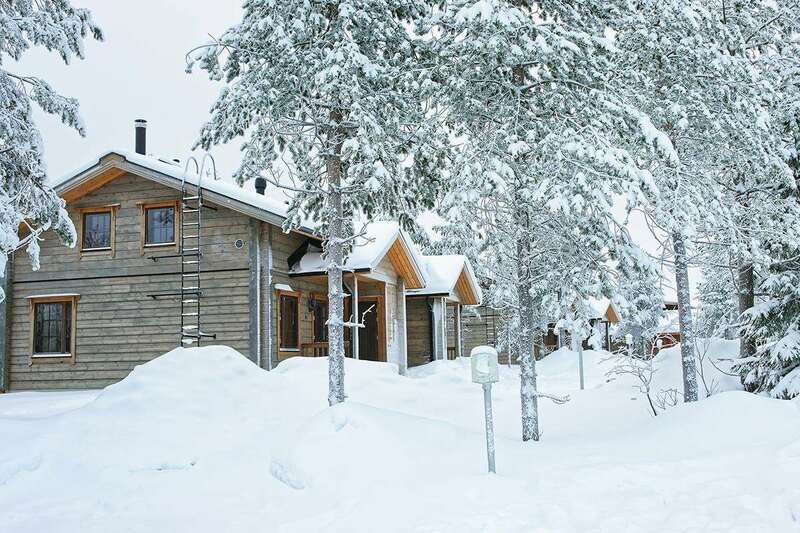 Located in the heart of Ruka, these high quality suites are a great choice for both families and groups. They offer an excellent standard of accommodation, location and nearby amenities that are either within the building or a snowball throw away. Type E suites - sleep 2-6 (recommendedmax 4 adults & 2 children): Living/dining area with two sofas, TV, DVD/CD player, broadband internet access, balcony and kitchen area with hot plates, kettle, coffee maker, microwave oven, fridge and dishwasher. Two bedrooms, one with 'Austrian twin' beds and one with bunk beds. Private sauna, shower room, separate WC and a drying area. Type G suites - sleep 2-8 (recommendedmax 6 adults & 2 children): As type A but with an additional bunk bedroom and also an oven and washing machine and additional WC. We stayed here last year and they were great apartments, clean with great extras. This apartment made our holiday - just make sure you take some milk & food with you as the shops can be closed when you arrive. These are fantastic apartments, lovely and clean, spacious and with stunning views, ski to door and fantastic skiing. We went New Year 2009 and will definitely return.